Climbing for Safe Water Team complete their 13,225 feet Trek! Breaking news! 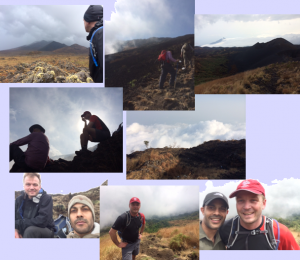 Kemal and our Climbing for Safe Water team have hiked the 13,225 feet up Mount Cameroon and are now safely back on lower ground. They faced cancelled flights in Istanbul and successfully battled lightning and hail on the mountain’s summit and soldier ants in the jungle. Sending many congratulations to the team and huge thanks to all who have sponsored.